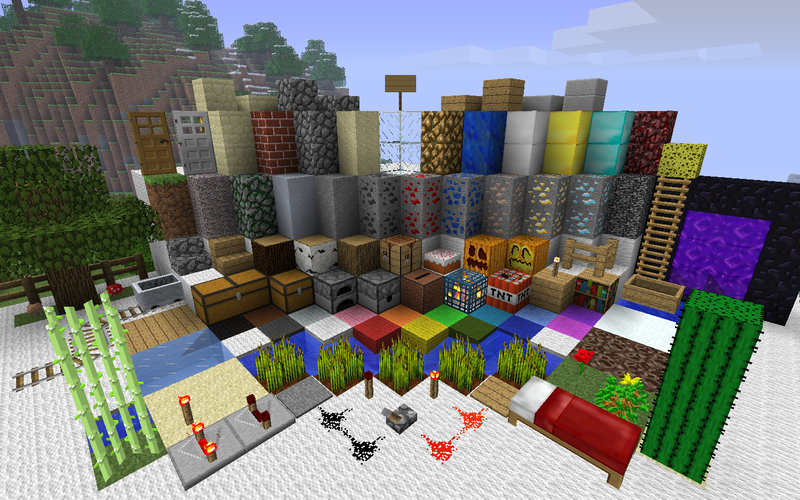 Dokucraft Texture Pack for Minecraft 1.14/1.13.2/1.12.2/1.11.2/1.10.2 is a highly customizable and one of the most popular packs available for Minecraft. 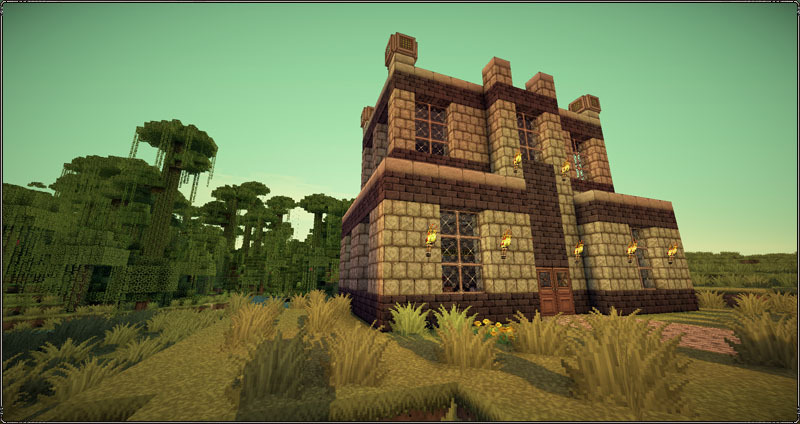 It is a high definition texture pack which supports 32x resolution and comes with Dark, Light and high themes. 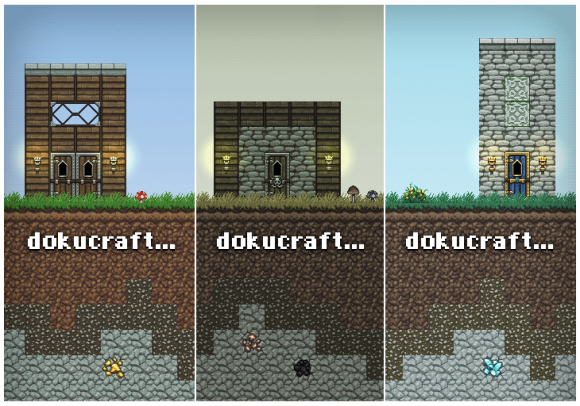 Dokucraft, The Saga Continues brings back the medieval style which stands it out from other fan created versions/remixes. This was initially released by Doku but HickeryDickery later continued its development and providing updates since then. Beautiful and realistic looking textures. Can work in low FPS without any noticeable lag. Supported by dozens of other mods. Download and install OptiFine HD or use MCPatcher HD Fix and patch. Go to Start Menu > Type %appdata%/.minecraft/resourcepacks and press Enter. Drag and drop the pack zip file inside the resourcepacks folder. Run Minecraft, select the resourcepack from the settings menu and enjoy the pack. Dokucraft texture pack is supported on Minecraft pocket edition, you can find troubleshooting tips, customization and more installation guides on official thread. When i press the 1.4.6 Doku Light it moves me to a site with a download. Only that download is 1.5 and the Link said it was 1.4.6 and NOT 1.5.1!!! YOOOOOO BROOOOOO IT GETS INTERUPTED SOMETIME…..
Optifine is less complicated then MCPatcher. Plus it has more options. But if you have mods on, then make sure Optifine is the last mod you install. The texture for water is missing in 1.6, it just looks like a purple and black mass. 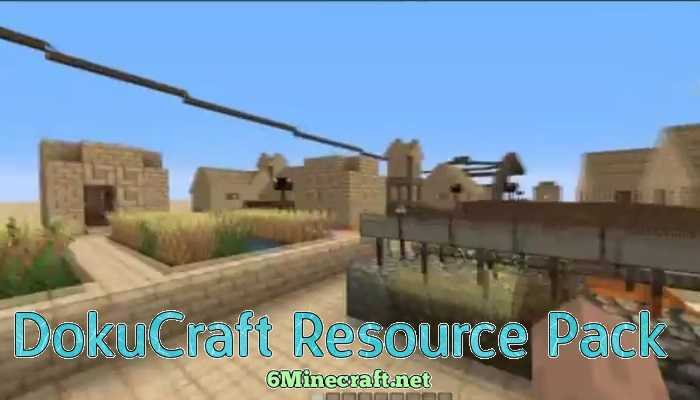 Dokucraft is a Best Texture Pack or Resource Pack In Minecraft! And Oter Players In Minecraft Like It! I Really Really Like it But i Will Say The Higher Version Is a Bad Version in Sphax It Let your Game Buggy and Laggy At All. I can’t seem to get Minecraft to recognize the existence of Dokucraft Dark. The other two work just fine, but Minecraft can’t see the dark one. Which I admittedly use the least, but still… 🙁 Anyone having similar issues? I downloaded all 3 for minecraft 1.5.2! I can’t decide which one to choose! 😀 They are all awesome! I’m just 11 so yea. What does ‘patch’ mean is it important? 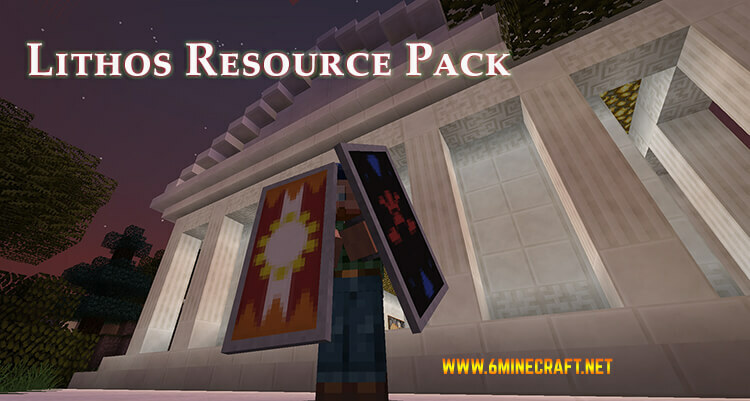 This Resource pack is so COOL!!! 1.7.2 keeps crashing my game why is that?